ALMetro360 has incorporated River Region Living to provide exceptional editorial coverage and dazzling photography in the only true multi community lifestyle magazine in the Heart of Alabama. In an effort to continue with the years of growth in our geographical area, we felt it was time to reach out and connect the growing metropolitan areas in the Heart of Alabama. The flourishing and rising communities of Montgomery, Auburn, Opelika, Prattville, Pike Road, Wetumpka, Tallasse and Milbrook will all be reflected in our coverage of the area. For years we have served readers and advertisers from all over the Heart of Alabama and now we are connecting these metropolitan communities all within a 45 minute commute. 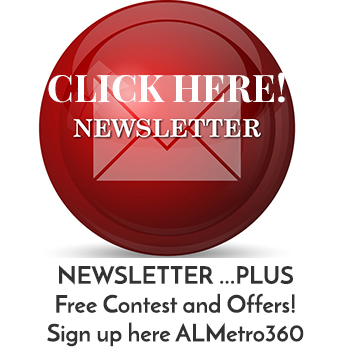 ALMetro360 is continuing to provide the same excellent editorial for your reading enjoyment, we’ve just expanded it so you can follow all these communities. Other than expanding our presence and distribution, all of the things you have enjoyed about us will remain the same. We have included some expanded our coverage to keep you abreast of the many things that happen around the Heart of Alabama. Broader market coverage, more editorial choices and expanded distribution have been part of our formula for growth all along. We hope you will enjoy your new ALMetro360.